Virginia&apos;s Blue Ridge is a reminder to us all that there&apos;s still adventure out there. Still wide open spaces to explore where you can be a trailsetter. 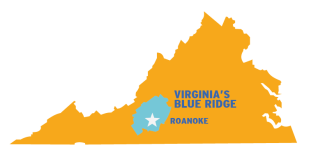 Virginia’s Blue Ridge is made up of the City of Roanoke at its heart and surrounding communities within an hour radius. 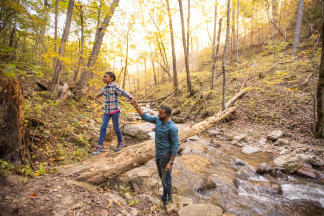 The region offers a refined, authentic, Metro Mountain adventure nestled in the Blue Ridge Mountains and along the Blue Ridge Parkway. It’s a premier destination for outdoor recreation and is America’s East Coast Mountain Biking Capital - our International Mountain Bicycling Association (IMBA) Silver-Level Ride Center designation says so! We also raise our glasses to the good life with an amazing craft beverage Cheers Trail, renowned restaurants with outstanding flavors and a thriving arts scene with live music and world-class performances for every type of Trailsetter. What Kind of Trailsetter Are You? Sign up for our Be a Trailsetter Sweepstakes and you'll be entered to win a free trip to Virginia's Blue Ridge!